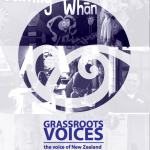 The Grassroots Voices (2009) research covered nine regions throughout the country and interviewed 249 people. This research highlights the many facets and dimensions of committed, effective social work and innovation in services. It also identifies areas for improvement and change, both in member services and in government family support services and policy. An overarching “Family Support Strategy” that ensures families can access the right support services at the right time, including preventative early intervention as well as crisis and post crisis support. More support for people on low incomes (including beneficiaries and low wage workers) such as more access to state and other social housing, higher benefit levels, better emergency income support and a more widely available child support tax credit. Community organisations and government agencies to work more closely together across the range of services so that the best, most sustainable and most cost effective results for vulnerable families are achieved. Sufficient government resourcing of community agencies so they can provide collaborative services, built on a trustrelationship with clients, that create positive change for families and whanau that need support. Participants discussed the circumstances that led to their asking for family support services and what, in their experience, works well and what needs to change. The uppermost issue that created problems for most of these families and whanau was not having enough income for food, power and housing. Families who had achieved more healthy family and community life said that developing trustworthy relationships with their social service workers and being able to access a range of services to address their different needs had been of the greatest help. Being unable to access services within their communities, being treated disrespectfully and not being given full information about the services and supports they were entitled to, caused the greatest blockages for change.